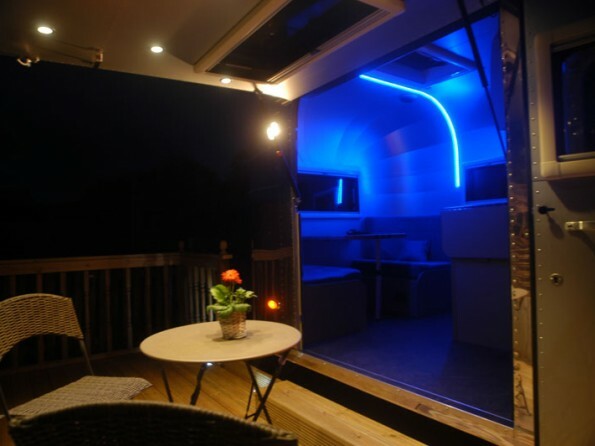 In an atmospheric spot overlooking the West Somerset Heritage Steam Railway sits The Steam Rocket, a retro yet luxurious aluminium caravan where you can watch buzzards soaring overhead, gaze at starry skies and experience a bygone age of travel. 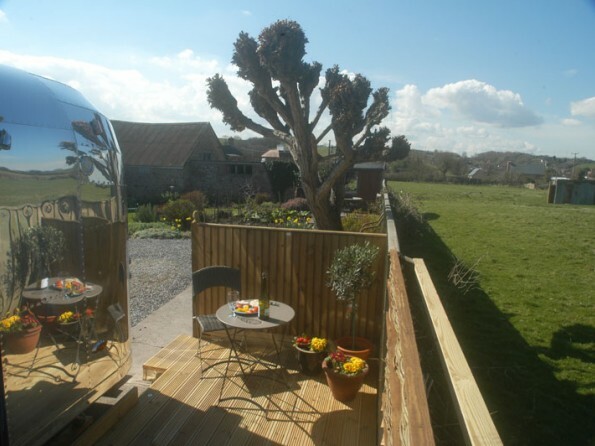 The caravan is situated in a unique part of Somerset, nestled between the Quantock Hills and Exmoor, with the smell of the sea on the air. 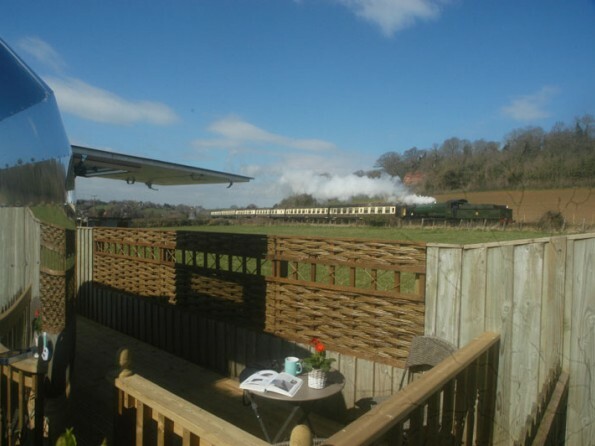 It’s an ideal base for exploring the region, but it also has adventure on its doorstep, with uninterrupted close-up views of the steam trains on the West Somerset Railway line. 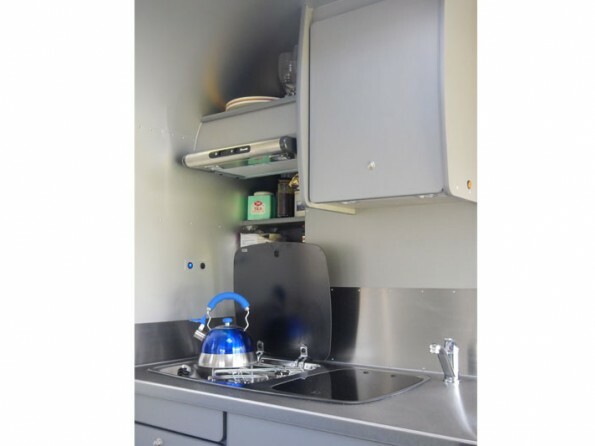 And this is the perfect choice of accommodation for anyone who wants to experience the joys of nature, fresh air and outdoor living without having to sacrifice warmth, comfort and homeliness. 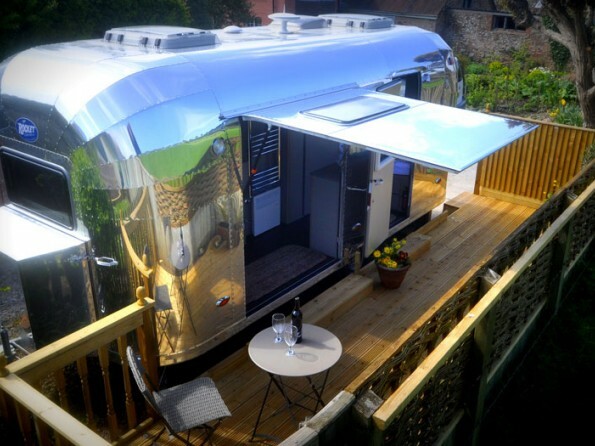 If you want a stylish and individual holiday property in a beautiful part of the world then The Steam Rocket is a fantastic choice. 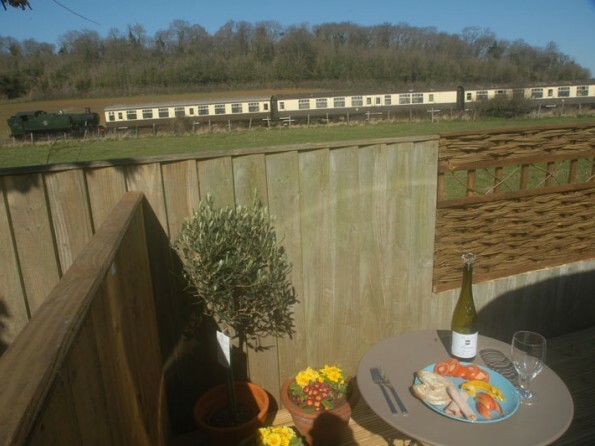 Keen walkers will find the famous Coleridge Way just a few hundred yards from the caravan, and activities like hiking, horse riding, wildlife safaris, rock climbing, water sports, coasteering and canoeing are all on offer nearby. Attractions are in plentiful supply, from Exmoor Zoo, Dunster Castle and Porlock Weir to Exmoor Owl and Hawk Centre, Wimbleball Lake and the ancient harbour town of Watchet. And make sure you sample some of the area’s excellent eateries, not least the village pubs in Monksilver, Bicknoller, Stogumber and West Quantoxhead. 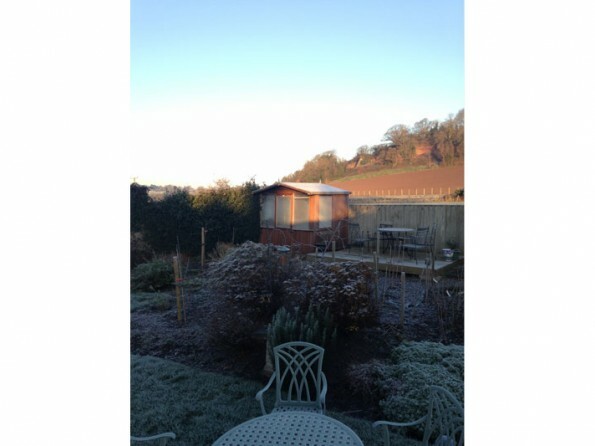 One mile from the caravan you will find the village of Williton which plays host to a number of independent shops. Williton is on the West Somerset Railway line. There is an international airport in Exeter. 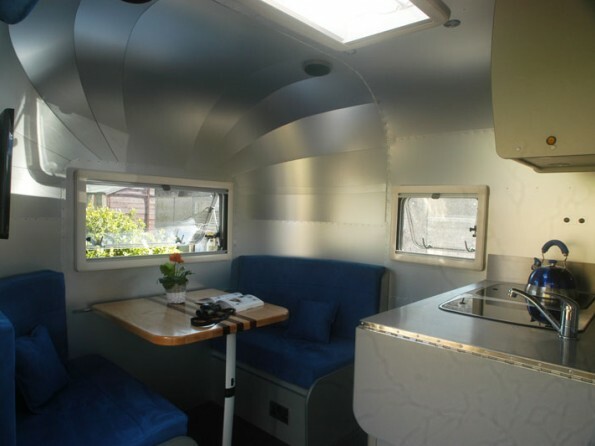 The aluminium cigar-shaped caravan is hand-made in Britain, with Welsh lambswool-lined walls and a bed made up with thick down bedding and soft cotton linen. 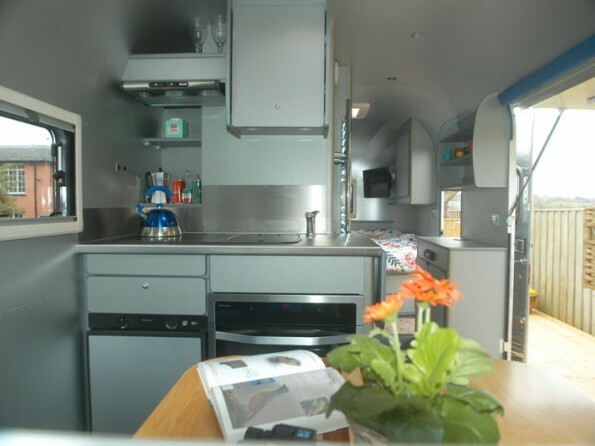 The kitchen area has a triple hob, a fridge and a good selection of utensils, and the van is also kitted out with a shower cubicle and toilet, suedette upholstered furniture in the lounge, two flat screen TVs and a CD player/radio/iPod dock. 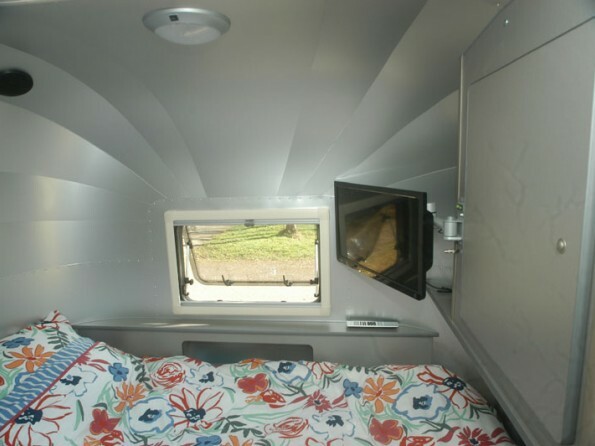 The caravan has a unique side lifting wall that brings the outside in and it sits in a private peaceful corner of the owner’s garden. 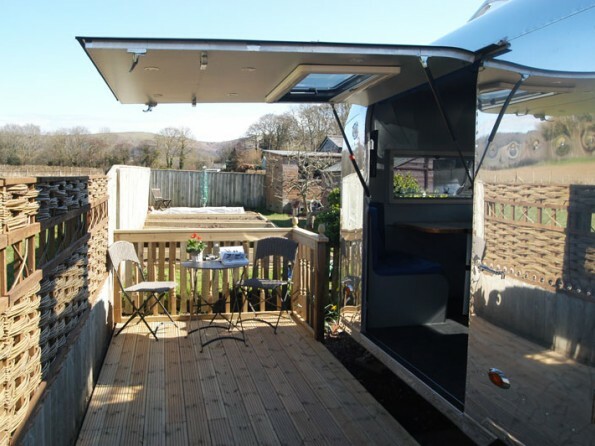 There is a secluded decking area with a table and chairs. 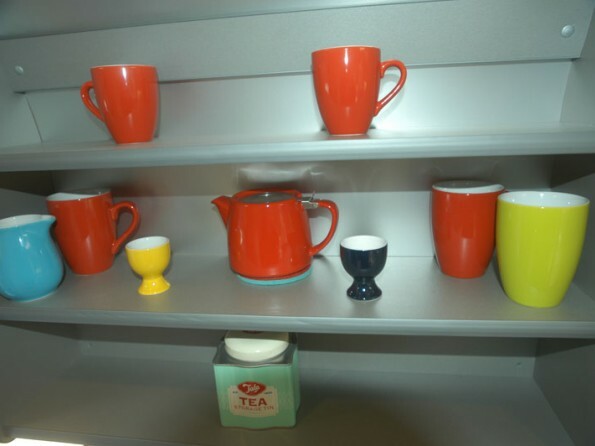 The owners can provide a continental breakfast on request, which will arrive picnic-style in the morning. There is also a supper menu available, made with seasonal vegetables from the garden. Minimum stay is 2 nights. No children and no pets. No smoking. Arrival from 3pm and departure by 11am. 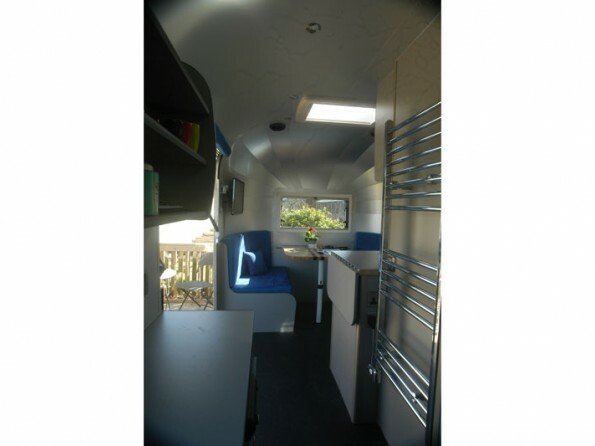 A deposit of 50% is required with the balance payable 4 weeks prior to arrival.